1975, the year of the cat, the year when the Vietnam War ended. One’s first encounter with the album is immensely enjoyable. The music moves on silky paws through the speakers, it is hazy, melancholy and very tastefully arranged. Each instrument works as a beautifying element around the soft, muted beat. There is a lot of everything: Keyboards, strings, saxophones, guitars, voices. The music is so luscious it could be eaten – the tracks arranged as delicious bites in a chocolate box -, and tailored to Stewart’s sympathetic voice miked up so close it caresses your eardrums. Equally close is the acoustic guitar, fingers plucking, notes rolling as if the player was sitting right next to you in your living room. The soft and delicious sounding rhythm section is a perfect base for the soloists who’s contributions flicker and shine like moonbeams on still water, a fiddle, a saxophone, an acoustic guitar. Gorgous. And at the same time – triggered by the dark undercurrents of the music – obsessive. First time I heard the album I was hooked long before side 1 was finished, and I hadn’t even heard the majestic title track yet. The lyrics don’t give away too much during the first couple of spins, but they touch the subconscious and create ripples of recognition in your mind. Words and expressions sound familiar, they are enigmatic, but they apply to you. And as you dig deeper into the lyrics their mysteries gradually start making sense. Many of the songs are based on actual historical events. The British naval hero Sir Richard Grenville’s dark voyage to perdition in 1591; the female pilot Amy Johnson’s journey towards her fate in 1941. The whole album has an aura of disruption, restlessness, danger and conflict, but wrapped in a velvet blanket of starry nights. There are songs about finding oneself in unfamiliar, hostile surroundings, an intruder, surrounded by danger. There are also songs about heroism, sacrifice and longing. And everything, every word, every note played is so immaculately interwoven and bittersweet that it tickles your soul. You’ll want to shed tears of gratitude when you hear the disc. “We’re on our way to nowhere now” – and if that isn’t bad enough: “We will not be back again”. Iirrevocable sense of doom wrapped in exhilarated melancholy. That’s “Year of the Cat” for you – both the album and the song. Al Stewart would go on to make great albums after this, and he makes them still. 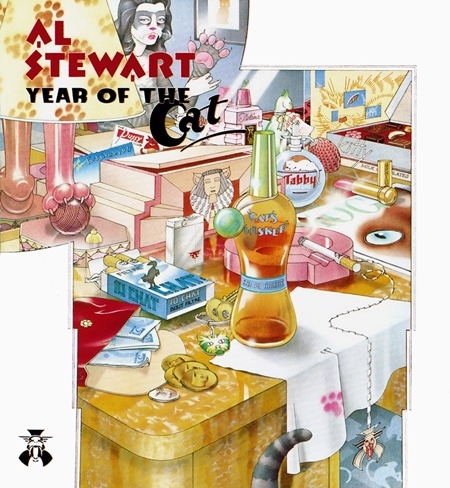 But “Year Of The Cat” is more than great, it is destilled perfection. 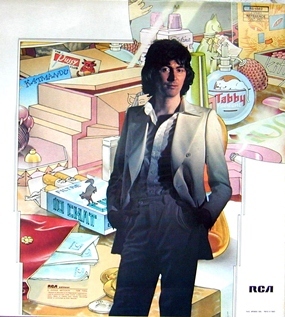 All tracks composed by Al Stewart, except where indicated.